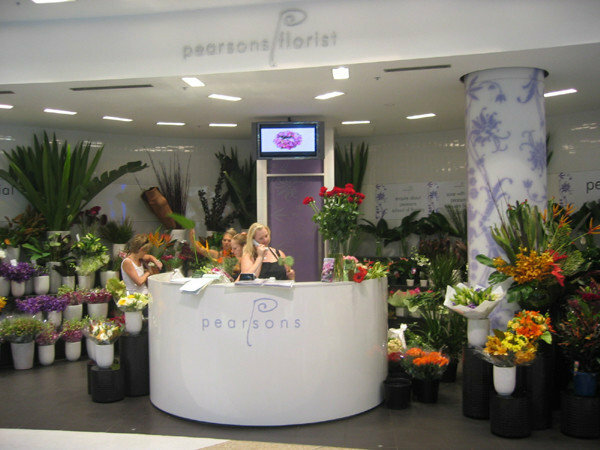 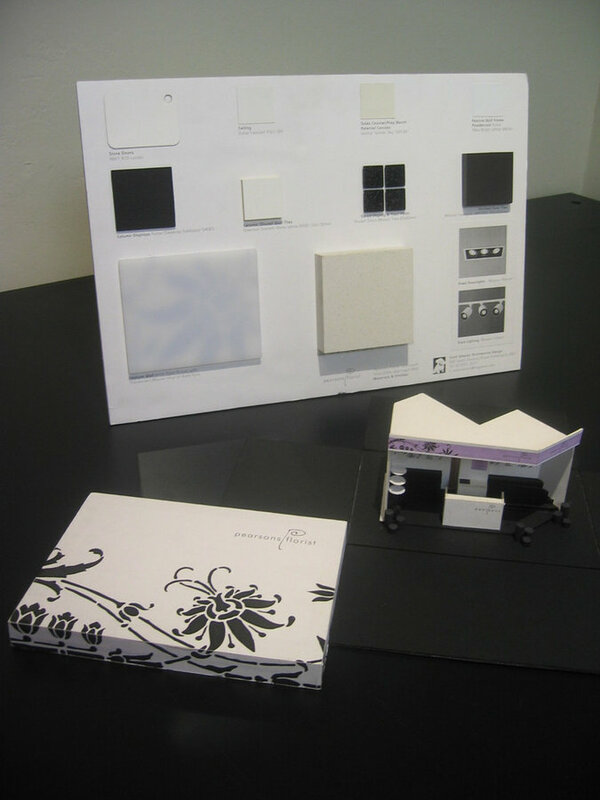 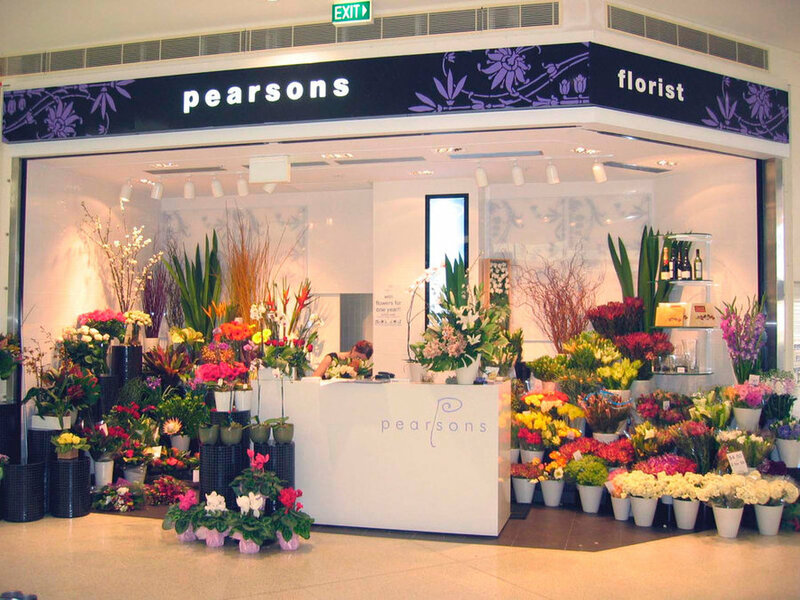 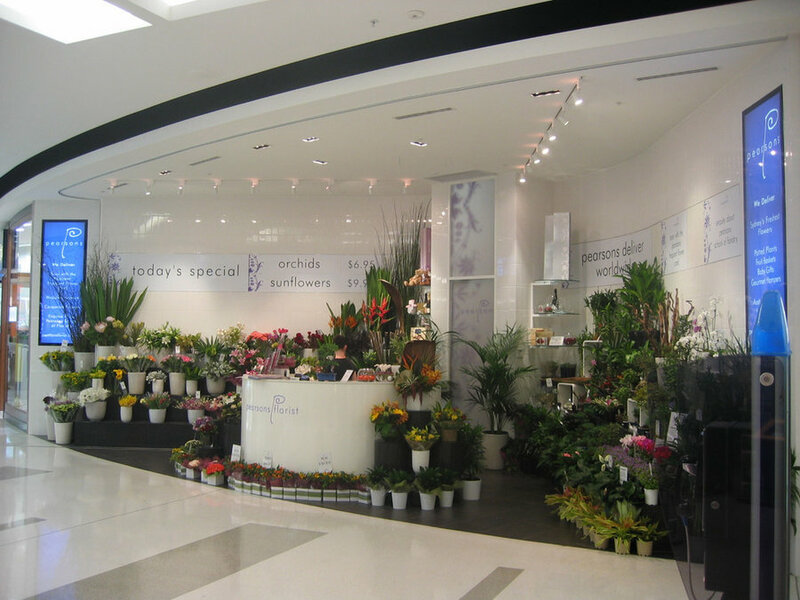 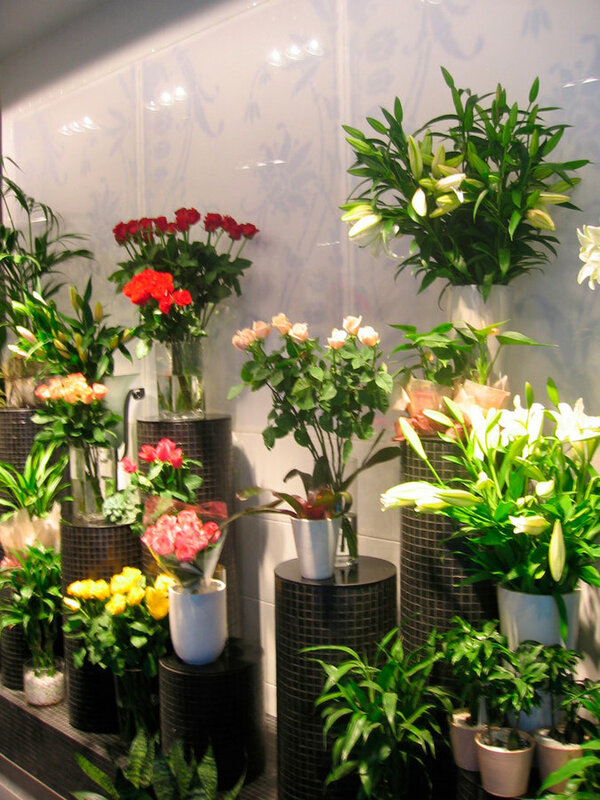 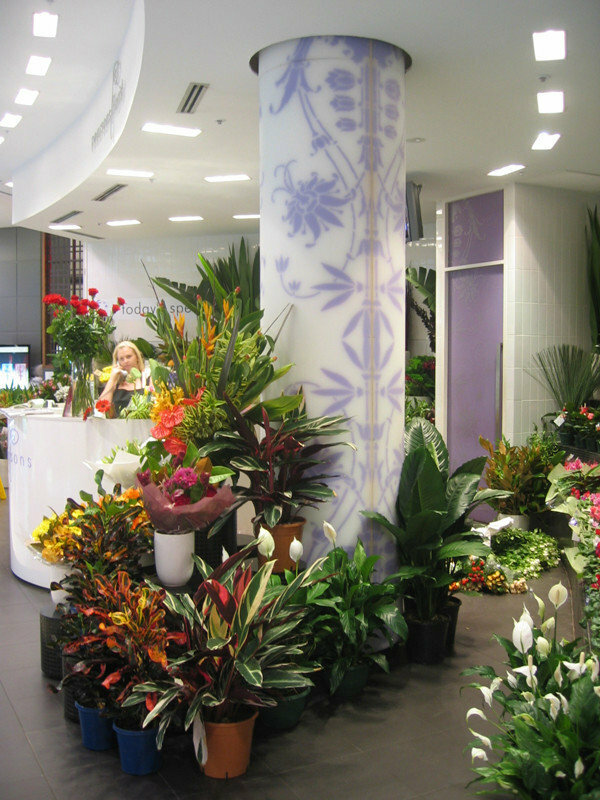 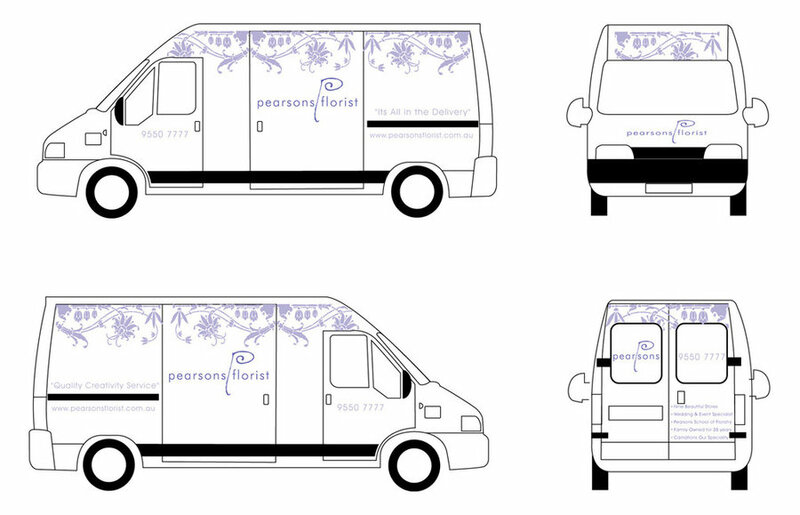 New shop fitouts and graphic identity for established Sydney florists, Pearsons Florists. 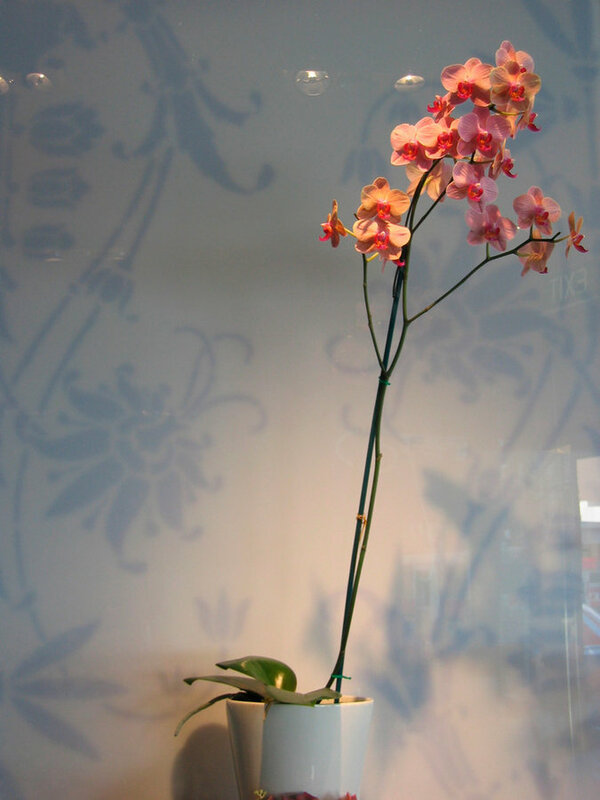 Patterned acrylic column to shop space. 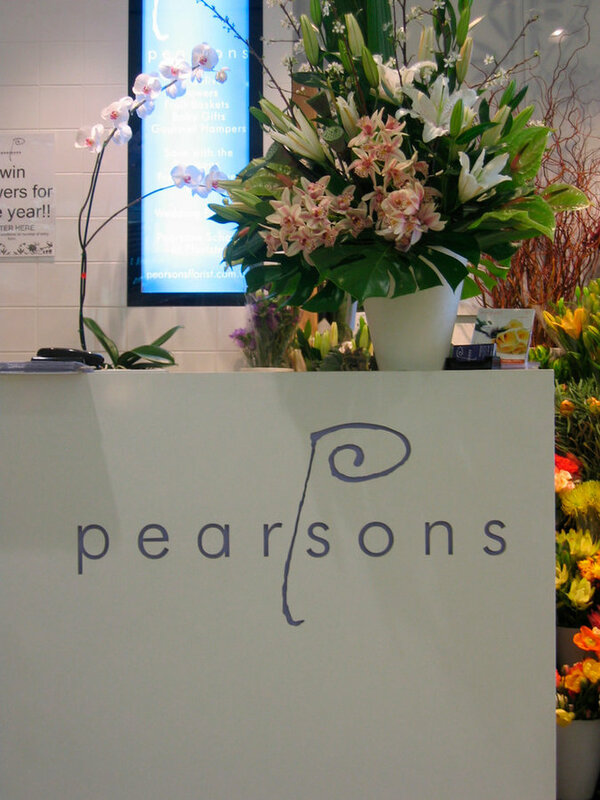 Backlit graphic panels to shop displays.